There is a phone call that I dread from my customers who have installed security camera systems. The phone call is that something has happened at their home or business and they are unable to retrieve video for one of several different reasons. Unfortunately, there is rarely anything that we can do after the fact to rectify the situation, because the damage has already been done, and the camera system either overwrote the video already, or it never recorded in the first place. It comes down to system maintenance and check-ups to your camera system, and whether or not they have been performed. When you first install cameras in your home or business, you find yourself watching them on a regular basis. While many customers keep watching them daily, this blog post is aimed though at the people who "set them and forget them". If you don't check up to make sure your system is healthy from time to time, then when you need the cameras might be the next time you check and realise that their might be a problem. While quality security cameras are reliable under normal situations, with power surges, lightning strikes and other detrimental conditions the life of a camera or system can be shortened. Security camera systems usually have very few moving parts, which gives less areas for failure under normal operation. This is why many of our customers are still using the same camera system they purchased 10 or 14 years ago. However, there are a few key areas that you should check to make sure your system doesn't need a tune-up that could affect the usefulness of the video captured. Run through the checklist below regularly to ensure that your system will continue to protect you for years to come. Even though cameras are weatherproof, it does not mean they are dirt-proof. This means that over time water, dust and dirt on the lenses can easily cause the video to become hazy or blurry. 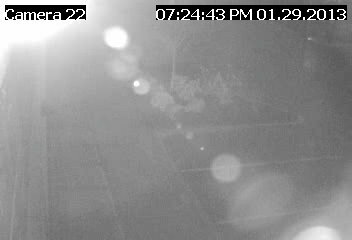 This is MOST notable in the night vision provided by IR cameras. Dirt and dust on the lens will make the cameras wash out at night with a bright white haze. This is why it is important to look at the video both during the daytime and evening hours to ensure that video is crisp and clear like the day it was installed. A quick playback of video on a weekly or monthly basis will be sufficient to ensure that your night vision is still running up to par. While you are playing back your video weekly or monthly to check video quality, also look at the number of days and hours you have in storage. Most systems we install and sell, we shoot for a minimum of 30 days of recording to ensure you will have the video that is needed. However there are several things that may reduce your overall recording, which is why it is important to check this regularly. If you find that your recording is shorter than it has been traditionally, then these are the things you should check. Often we find that cameras have cobwebs or spiderwebs in front of them. This can cause day and night recording continuously which will take up great amounts of space on your digital recorder because it will always be recording. This constant motion can consume 30GB per day on a single camera for analog or 300GB per day on an HD camera. Clean out cobwebs and spider webs on a regular basis. Many insects can see IR light, so they flock in front of a camera sometimes. The spiders are smart and see this, and build webs to try to catch their next meal. Don't let the spiders cause you to overwrite important video! While the connections should have been solid when the cameras were installed, with weather beating down on the connectors, rust, corrosion or pulling on the cables, and even rodents chewing on cameras, often the camera feed might become unstable. This can cause the video on the screen to shift around, bounce, roll or cut in and out. This will cause excess recording and eat up space on the drive. Fresh growth of tree branches, new bushes, decorations or many other moving objects can cause excess recording as branches move in the breeze. Sometimes proper pruning or moving a camera might be necessary to reduce this excess recording. The hard drive in the DVR that you are using is one of the only moving parts in the system. While modern hard drives are designed to operate for years, excess heat, vibration or surges can cause the hard drives to fail faster. When a hard drive begins to fail, it will cause recording errors, playback errors or cause the system to stop recording altogether. Regularly checking your playback will help to identify failure early so that the camera system's hard drive can be replaced as needed. It may seem very simple, but certainly it is important. It is easy to test, simply keep track of how many cameras you have and make sure they are all appearing on the screen. While doing this, look for any new obstructions that might be partially blocking the view such as tree branches, boxes stacked up, decorations or anything else that might obstruct the view from the security camera. We tend to change arrangements of our house or yard from time to time (at least if you are anything like my wife) so new obstructions may pop up in view without even thinking about it. Remote access to your system is crucial when you run into issues. So checking to make sure that it is functional regularly can help ease your mind in a situation. Always check a few days or week before going out of town, as sometimes your internet connection may be reset back to defaults by your ISP. This will disable your remote access to the cameras, rendering you blind when you are away from home. As it won't affect your access to the cameras from inside the house, this is the most common failure point. You must check the video over the internet (while you are not at home) in order to ensure the internet connection is working. I recommend checking a week before going out of town, because holiday times are our most busy for tech support. Often people are calling when on the road on the way out of town, or just prior to leaving. While we try to staff accordingly for these times, it can often still be difficult right before the holiday. Recently, while studying the premature failure of security cameras, I came to an immediate conclusion about why some security cameras last 10-15 years, while others display premature failure in the first several years. Failures found ranged from decreased or completely eliminated Infrared Night vision due to LEDs burning out, to complete camera failure (both IP and analog). 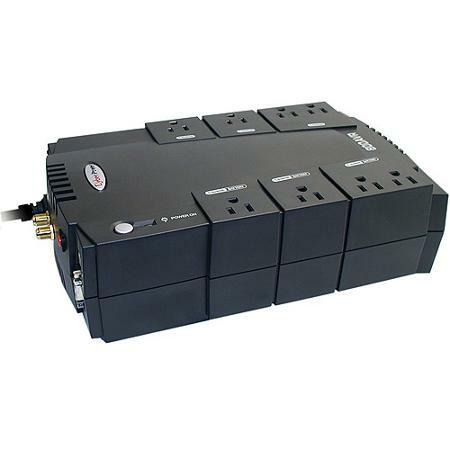 There was one thing in common on all systems that experienced premature failures: No UPS (battery backup) with AVR (auto-voltage regulation) was employed. 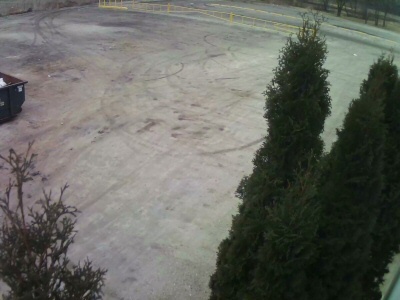 This is such a crucial part of your security camera system, so it should NOT be overlooked. An AVR UPS will deliver you continued operation of your cameras for years to come. The reason - micro pulses, spikes and surges in voltage cause damage to the electrical components of your cameras or DVR. Surge protectors are designed to keep major surges from arriving at your components, but rarely have much affect. The UPS with AVR will actually use the battery to supplement voltage when there are minute drops, and then bleed off voltage to the battery when there is a surge. This is the only line of defence against these problems in power that are so minor you may not even see the effects of the power glitch in the lights. This is why this type of AVR system is now a requirement for the warranty of your camera system. Proper maintenance to your camera system is important to ensure that it will provide you with years of service and protection. A few moments spent on a weekly or monthly basis will help you out in the long run. Don't become one of those phone calls that I dread, where video has not been recorded when it should have been due to outside factors. 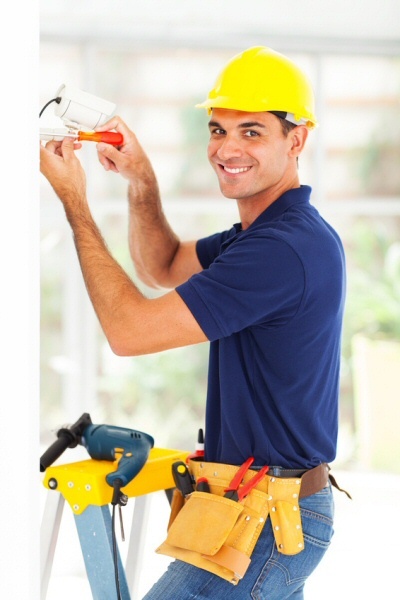 With our AVM home security camera systems or AVM Business security camera systems, we have several remote system maintenance plans to help you with the regular maintenance and checkups on your system. These plans start at just $9.95/mo and involve checking and reporting back to you on the checklist of items above. For home users, this is only available on camera systems that have only outdoor cameras (for obvious privacy and access reasons).